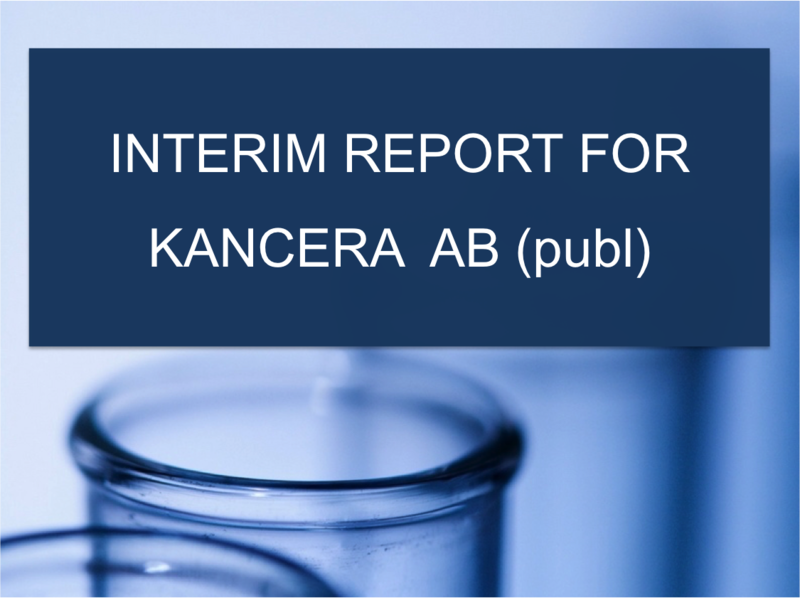 Kancera AB’s accounting principles are based on the Swedish Annual Accounts Act (1995:1554) and recommendation RFR 2.3 of the Swedish Financial Reporting Board: Accounting for Legal Entities. RFR 2.3 requires the company to apply all EU-approved IFRS and statements as far as this is possible within the framework of the Swedish Annual Accounts Act and the Swedish Pension Obligations Vesting Act, and with regard to the relationship between accounting and taxation. The recommendation sets out the exceptions and supplements which must be made with regard to IFRS. Financial instruments. The company does not use IAS 39: Financial instruments. Instead, accounting and estimates are done with the acquisition price of assets and liabilities as a starting point. Leasing. The company reports all leasing agreements as though they were operational. Intangible assets. Expenditure for internally accumulated assets is written off on an ongoing basis. Untaxed reserves. The amounts allocated as untaxed reserves constitute taxable temporary differences. Because of the relationship between accounting and taxation, the deferred tax liability attributable to the untaxed reserves in the company is not accounted for separately. Risk-bearing capital, %: The sum of the equity and deferred tax liabilities as a percentage of the balance sheet total. Return on equity (ROE): Return for the period as a percentage of average equity. Return on capital employed (ROCE): Return before tax, with the addition of financial expenses, as a percentage of average capital employed. Return on total capital (ROTC): Return before tax, with the addition of financial expenses, as a percentage of average balance sheet total. Gross margin: Operating profit/loss before depreciation and amortisation as a percentage of net revenue. Equity per share: Equity divided by the number of shares on the reporting date. Cash flow per share: Cash flow from operating activities divided by the average number of shares. Operating capital: Tangible fixed assets plus trade debtors plus stock minus trade creditors. Earnings per share: Return for the period divided by the average number of shares. Net interest-bearing liabilities: The net value of interest-bearing liabilities minus financial assets including cash and cash equivalents. Interest coverage ratio: Profit before tax, with the addition of financial expenses excluding exchange losses, divided by financial expenses excluding exchange losses. Operating margin: Operating profit/loss as a percentage of net revenue. Debt/equity ratio: Interest-bearing liabilities divided by equity. Capital employed: Balance sheet total reduced by non-interest bearing liabilities. Equity ratio: Equity as a percentage of the balance sheet total. Profit margin: Profit before tax as a percentage of net sales.